Garages are most often erected from bricks, cinder blocks, foam blocks or reinforced concrete structures. All these materials have high strength, but do not retain heat at all indoors. 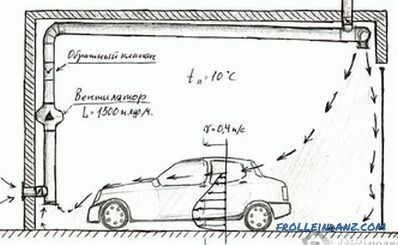 To create comfortable conditions for the owner and the car in the garage, it is worthwhile to warm it. In this article we will explain how to insulate the ceiling in the garage with your own hands, both from the inside and the outside, as well as which materials are better to choose. Before starting to insulate the ceiling, first make sure that it does not leak anywhere and repair it if necessary. There are enough heat insulators on the market that combine these characteristics. 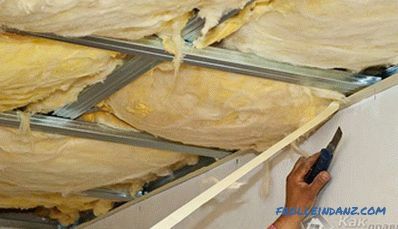 When deciding how to sheathe the ceiling in the garage, you should study the properties of thermal insulation and finishing materials. The greatest demand from motorists use the products, which are discussed below. Mineral wool . Insulation is presented in three forms: glass, slag and basalt wool. Glass wool is a fibrous insulation resistant to chemical attack and fire. It is durable and elastic, does not lose shape during operation. In this insulation mouse will not start, but when you install it, you need protective equipment. Slag wool does not burn, has the lowest cost of mineral insulation, but has a high hygroscopicity, the material must be isolated from moisture. Basalt wool is strong and durable, but it is also afraid of moisture and requires the installation of waterproofing. The material does not rot, does not attract rodents, is affordable. All types of cotton wool are made in various shapes: rolls, plates and mats. A heater with improved characteristics, which gives the gluing of a layer of aluminum foil. The reflective layer helps to keep the heat in the room and is a vapor barrier. The thickness of the material is 20-200 mm, but 50-100 mm is enough for warming the garage. 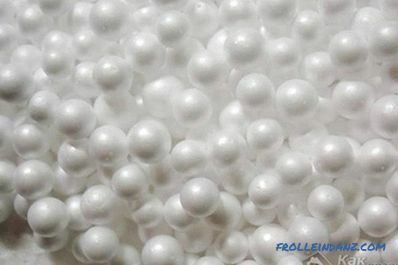 Polyfoam is the most popular heat insulating material. This is due to its low thermal conductivity, moisture resistance, minimal cost and ease of installation. 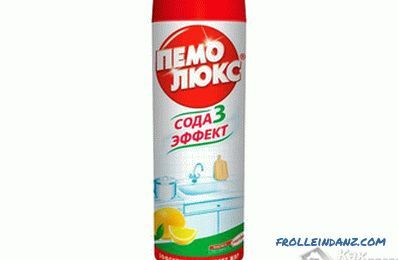 The material has its drawbacks: combustibility, fragility and attractiveness for rodents. 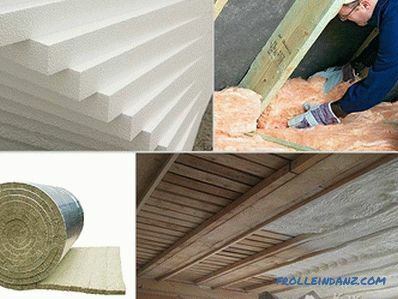 Foam sheets 100 * 100 * 50 mm in size are most often used for insulation. 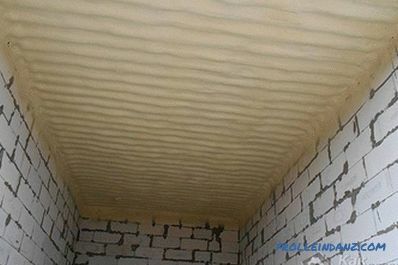 Polyurethane - insulation applied to the ceiling with the help of special equipment. The composition is sprayed with a layer up to 5 cm and after polymerization forms a monolithic surface. It does not burn, is not afraid of moisture and biological effects, durable and durable. 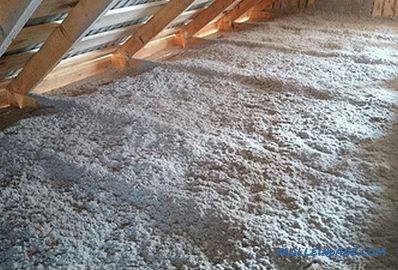 High adhesion with any coating makes insulation universal. The material is sensitive to ultraviolet, therefore, requires the creation of a finishing layer. 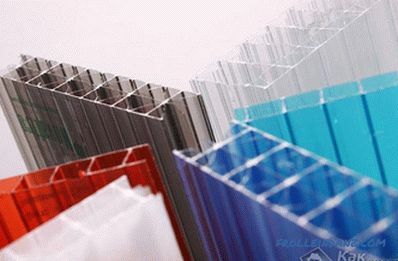 Penoplex - Material based on polyethylene foam, combined with a layer of foil. It works on the principle of reflecting heat back into a room. 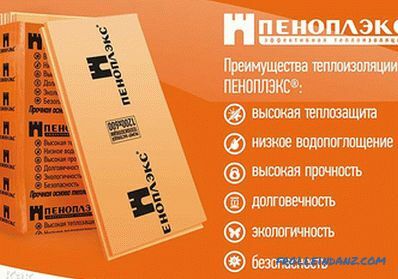 Insulation is not afraid of moisture and fire, it is easily mounted, fastened with brackets or wooden crate. 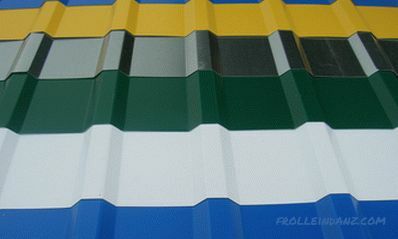 Supplied in sheets, the effective thickness is 25-30 mm. The surface is cleaned and prepared, to which polyurethane foam is then applied. If a different type of insulation is selected, a crate is made of wooden bars treated with an antiseptic. A sheet of waterproofing creeps in, and it is attached to the crate with a stapler. Foam plates or mineral wool mats are placed between the bars. The material fits tightly, the slots are blown with mounting foam. A vapor barrier membrane is placed on top of the insulation, geotextiles can be used. Above the thermal insulation, the second tier of the sheathing is carried out and the trim - boards is fastened. If expanded clay is used, then it is poured onto the waterproofing sheet with a layer up to 3 cm, and is also covered with a film on top. For good insulation it is recommended to pour expanded clay with a 2-3 cm tie. Choosing an inexpensive and moisture-resistant material for insulation, you need to figure out how to warm the ceiling. 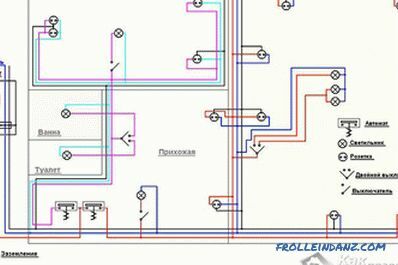 Depending on the overlap material, the method of installation of insulation is selected. 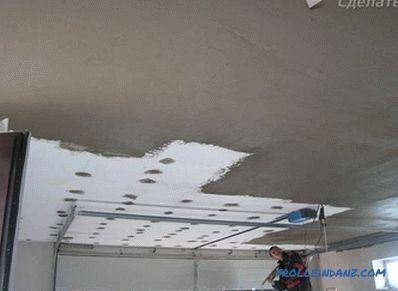 On the concrete ceiling, you can glue the plates of foam or extruded polystyrene foam without prior preparation. Since foam is a combustible material, for safety, it is better to use plates marked with PSB-S, which have flame retardants. A special adhesive compound is applied with a comb to the surface of the insulation, then the plates are pressed against the ceiling and held for some time. Connecting seams are sealed with the same composition. For additional fixation of the material using plastic dowels, umbrellas with a wide cap. Each plate is fixed with 5 dowels: 4 along the edges and 1 one in the center. Hard plates of extruded polystyrene foam do not require a large number of fasteners, 2 plugs are enough. Finishing for insulation is plastering. Before applying the solution, the surface is reinforced with fiberglass reinforcement mesh, which is attached to the glue. The ceiling is marked for profile fastening. Holes for fasteners are drilled in the guides, then the profile is fixed on the ceiling with self-tapping screws. Polyfoam is placed in the space between the profiles, from the bottom it is supported by a jumper from the CD profile attached to the main screws. This sequence is maintained until the end of the installation of insulation. Finishing is done with plastic panels that are stitched to the profile. The first method of insulation is preferable; it is not only simpler, but also provides better thermal insulation without disturbing the integrity of the ceiling by drilling. When used in the internal insulation of mineral wool, waterproofing of the ceiling is required. If the material gets wet because of moisture leaked from the roof, it will lose its heat insulator properties. 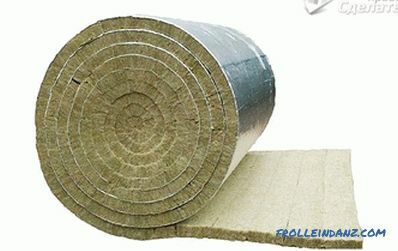 The surface of the mineral wool laid in the frame is always covered with a vapor barrier, it allows moisture to accumulate in the insulation. The canvas is attached to the profiles on double-sided tape or staples in increments of 15 cm. Penoflex copes well with the role of vapor barrier, while it is an additional layer of insulation. The material is easily attached to the crate with staples, the joints of the sheets are glued with foil tape. Recently, many people prefer to trim the ceiling with professional sheet. 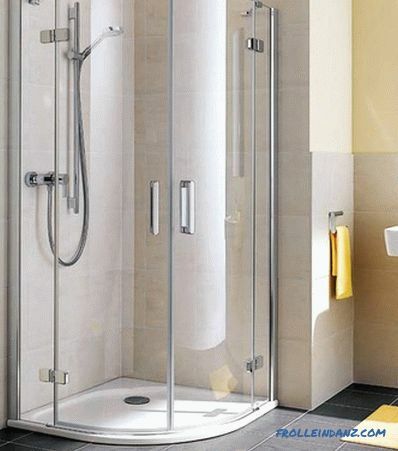 Finishing with plastic panels is the most common option, this material is resistant to temperature fluctuations, moisture, easy to clean when dirty. 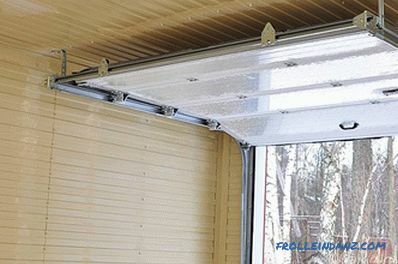 For heated garage, you can use drywall or clapboard. When performing insulation, the garage should not be turned into a thermos; or leave air vents. This will create a favorable climate without excessive moisture, dangerous for the metal of the car.